The Humor Times 24th Anniversary Issue is Out Now! 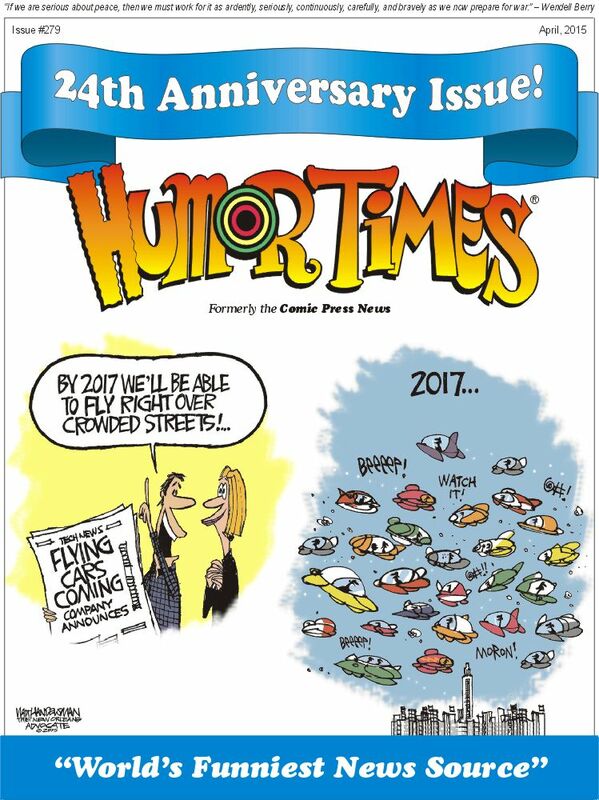 Don’t miss the Humor Times 24th Anniversary Issue – order a subscription or free sample today! Don’t cry about the news — laugh about it, with the Humor Times! We cover the news like no one else — say goodbye to the droll, hello to the hilarious. Humor Times 24th Anniversary Issue cover — click to enlarge. 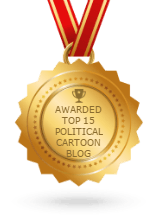 A monthly political humor magazine featuring the finest in editorial cartoons, humor columns and “fake news,” the Humor Times cuts through all the hype. It’s the perfect antidote to get you through these troubled times. Humor Times subscriptions make great gifts for anyone who follows the news and has a sense of humor. You may also order a free sample (there is a $1 shipping and handling fee for orders within the U.S., $3 for orders outside the U.S.). Appropriately enough for a publication bent on tickling readers’ funny bones, the Humor Times’ original launch date – originally titled the Comic Press News – was on April Fools Day, 1991. The 24th Anniversary Issue will come out at the end of March. The goal in 1991 was to “provide comic relief for people weary of scandals and politics-as-usual in the Sacramento area,” as Editor James Israel put it. The publication’s purpose is “to help balance out the gloom and doom with hard-hitting political humor and hilarious editorial cartoons,” he said. For people consuming the regular news through the standard outlets – newspapers, magazines, and their websites, or by watching talking heads hash over ginned-up issues on the tube – the magazine is a refreshing change: an irreverent, take-no-prisoners, no-holds-barred review of the news and politics. Besides the editorial cartoons, the publication features humor columns by the likes of veteran political comedian Will Durst, Jim Hightower and others, a “fake news” section ala The Onion, and – lest the magazine risk leaving readers feeling too jaded – many non-political cartoons, to help lighten up the mood. The Humor Times’ topical political humor may be hard-hitting, but it is clean, and suitable for all ages – at least, those old enough to be interested in what’s happening on the world stage. Now approaching its 24th year in print, the laughs are still coming, and die-hard fans can’t get enough, as they anticipate the anniversary issue. Humor Times subscriptions are just $24.95/year (for 12 issues – save a dollar when ordering online), and a 3-issue trial subscription is available for only $7.95. A digital version is available for download by subscription as well, for just $9.95 a year.